Marriage brings little joy to Artie Cohen, NYPD. He packs his new bride off to New Jersey while he searches the Brooklyn waterfront for an old friend’s killer. There’s zero chemistry between Artie Cohen (Disturbed Earth, 2005, etc. )—who tortures himself daily over his old life in Russia, his Alzheimer’s-stricken mother in Israel, his lost love Lily Hanes and the sadness he finds in people everywhere—and blandly cheerful Maxine Crabbe, who, undaunted by the loss of her fire-captain husband at the World Trade Center, longs to buy a condo in lower Manhattan. They spend little time together at the lavish wedding party mega-mogul Tolya Sverdloff throws them before Maxine leaves for the Jersey shore with twin daughters Millie and Maria. Promising to join them, Artie first slopes off to Red Hook to marvel at the gentrification of the old warehouses and look in on retired reporter Sid McKay, who sends him urgent messages, then refuses to elaborate before he’s beaten to death. 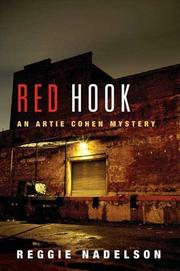 Artie puts Maxine off repeatedly while he chats with high-fliers at fancy clubs, prowls Brighton Beach to find the crazy Russian lady who sells tamales at soccer games, probes Tolya’s deal to buy part of the old High Line and moons over Lily at their favorite Chinese bar, exposing the dark side of the human soul and the upside of downtown real estate while his inquiry lumbers on. Big Apple navel-gazing at its glummest.